Saginaw Bay had some good perch action at the Palmer Road Cut. 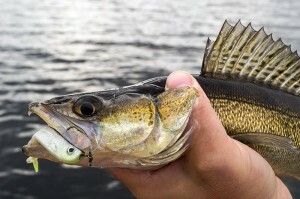 Those trolling body baits caught walleye in 18 feet off Linwood and 10 to 12 feet off the Bay City State Park. 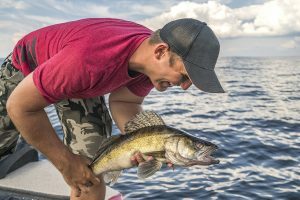 Walleye were also caught by those trolling or jigging near the mouth of the Kawkawlin River, Spoils Island and to the east off Finn Road. Quanicassee to Caseville was slow for perch because of the muddy waters. The odd lake trout was caught off the end of the pier at Caseville. 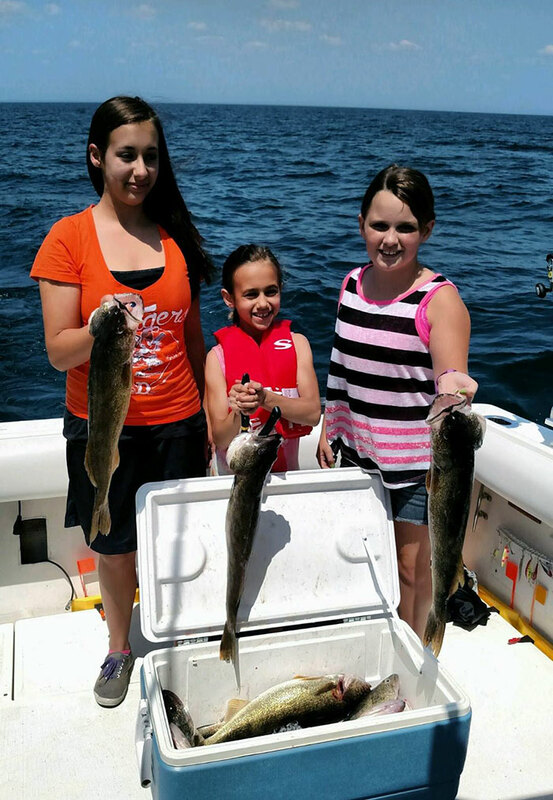 Au Gres boat anglers caught walleye off the mouth of the river. 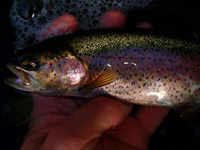 Au Gres River steelhead have been caught in the East Branch near the Singing Bridge. 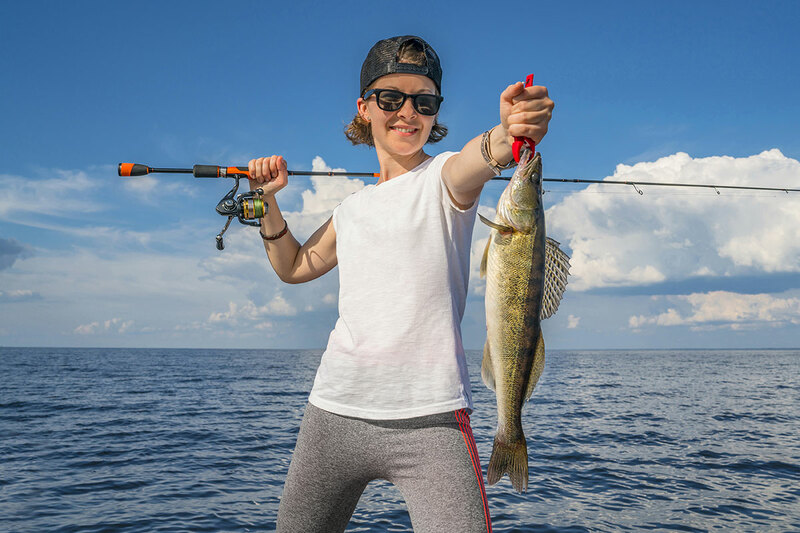 Oscoda pier and boat anglers are catching walleye, steelhead and Atlantic salmon. 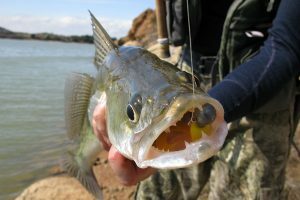 Trolling and casting body baits were the most productive but fish were also caught by those drifting spawn or still-fishing with minnows. Early morning and late evening were best. Au Sable River was producing some fresh steelhead. Spawn and body baits were the ticket. 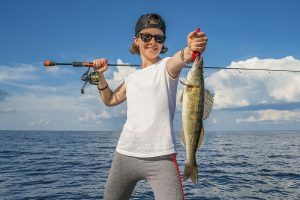 Tawas Area fishing was slow with only a few walleye caught by boat anglers. Tawas River anglers caught the occasional steelhead on spawn. Suckers were also caught. 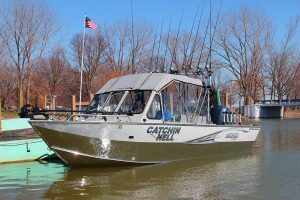 This web application is designed to educate anglers and fisheries professionals on local and regional trends in abundance, growth and survival of important fish populations in selected streams across Michigan. It incorporates data collected from a network of fish population survey sites, with some data going as far back as 1947. Anglers can look up a river and see what the most recent trends are in terms of abundance, growth and annual survival of selected fish species. The information can be viewed in map, graph or table formats.